Those of us who have been around Southern Gospel Music for any length of time know who Naomi Sego is. I think I have mentioned before how I bumped into Naomi Sego – literally. 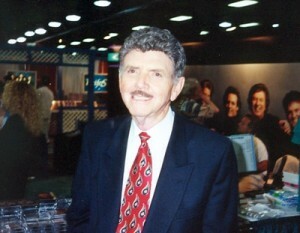 I was at the quartet convention in Louisville several years ago. I was wandering around and I remember stopping to look at the Nelon exhibit. When I turned to go again I walked right into Naomi Sego. I was so embarrassed and apologized a dozen or more times. She looked at me with that kind face of hers and said, “Please excuse me, I’m so sorry.” That little gesture spoke to me and I’ve never forgot it. It is just more testament of the kind of Godly woman that Naomi Sego is. Naomi was born in Enigma, Georgia as Naomi Easters. 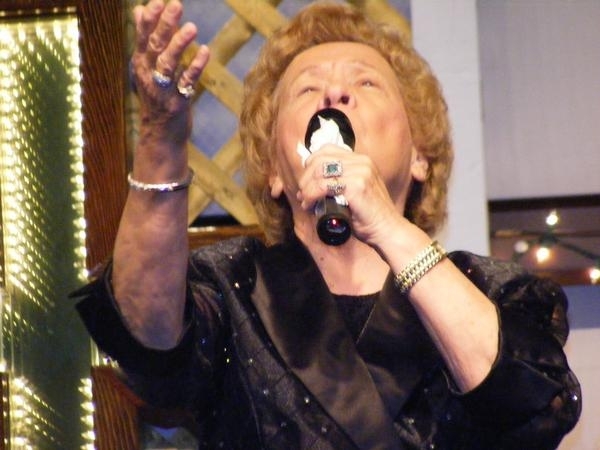 This pioneer of Gospel Music has been ministering in song since 1958. Who inspired her to be the person that she is today? Naomi said that her parents had been a great influence on her life. She said that they were Godly parents and that her dad was a minister. Ironically, her dad was saved under the Sego Brothers’ ministry. Naomi said that she was born into a family of seven children. There were four girls and three boys but one of them died at the tender age of ten when Naomi was only three years old. Naomi met James Sego in 1948 when the Sego family came to Enigma for a homecoming. They were married in 1949 and had two children, Carlton and Ronnie. Ronnie eventually played the drums for the Sego Brothers and Naomi. The group became very popular in their hometown of Macon, Georgia. Later that local popularity became national when they performed their song, “Satisfied With Me”. It is rumored that Naomi and the Sego Brothers were the first Southern Gospel group ever to sell over a million records when they recorded, “Sorry, I Never Knew You”. That was back in 1964. Following this success they appeared on the nationally best known and longest running television program, Gospel Singing Jubilee. They later were invited to perform at The Grand Ole Opry. From the start, the Sego Brothers and Naomi consisted of James Sego, Walter Sego, Lamar Sego and Naomi Sego. Naomi was married to James. The group changed several times over the years. Lamar left the group back in 1967. James Sego died in 1979 at a very young 51 years old. The other brothers stayed on until about 1979. In 1983, Naomi married Vernon Reader and officially changed the group name to Naomi and the Segos. Naomi has most certainly had her share of sorrow as well as accomplishments. 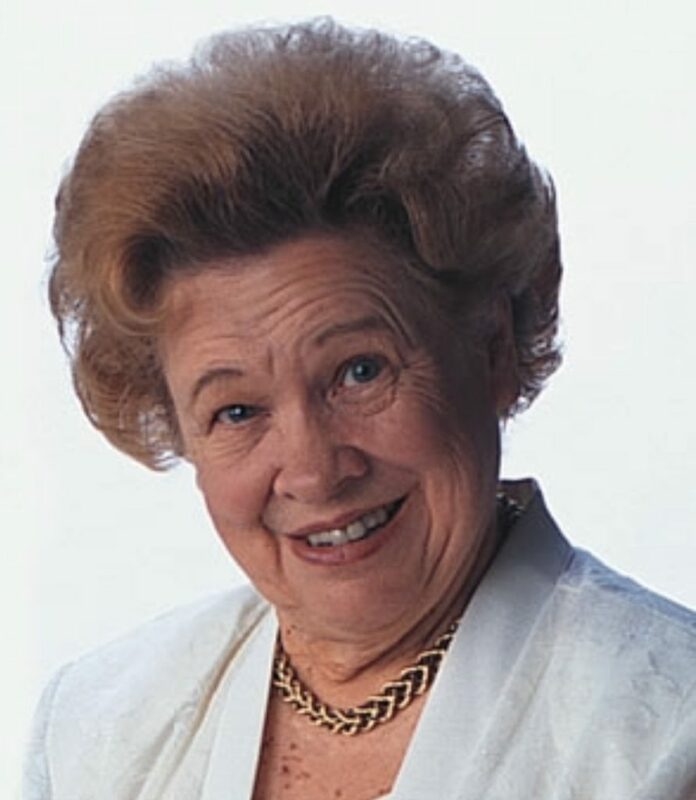 She lost her first husband James at a young age and her second husband Vernon passed away in 1998. Naomi has also lost her son Ronnie, who passed away in 1996. He had been a diabetic since five years of age. Naomi has eight grandchildren and ten great-grandchildren. Despite the circumstances, Naomi has continued to live the legend that began in 1958. She said that the most wonderful day of her life was when she was saved. She loves the Lord with all of her heart and she has never let anything hinder her ministry for Him. In spite of the many heartaches and hardships she endured, Naomi pressed on. A string of hit songs, many awards and accomplishments will all serve as a testament to Naomi’s talent, integrity and her dedication over the many years. “But more than anything, I remember being drawn to the anointing that rested on Naomi, both on stage and off. As a young child, I didn’t recognize at the time that’s what it was (the anointing), but there were so many times when watching the Segos on stage that I just wanted to raise my hands and shout in praise. And I do remember many times how the tears would flood down my cheeks as the Spirit of God flowed through Naomi. What a joy and privilege it was for me to join Naomi and The Segos and travel with her later in my life. That’s where I got my start in full-time gospel music ministry in 1989.” Lanier’s life and career was profoundly touched by Sego. Naomi Sego has touched many through the years and has had a positive impact on the spiritual lives of artists and fans alike. This lady is truly a legend and only Eternity will show how far her influence stretched across the nation. Special thanks for Danny Bartlett for his assistance. First published by SGMRadio.com, January 8, 2013. Ms Naomi Sego has touched so many lives through the years. What is your favorite song she sang? 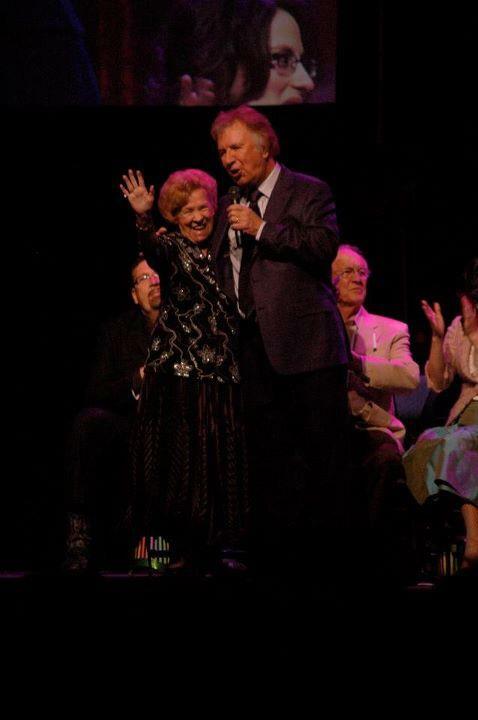 Southern Gospel Music Association reports today on Facebook that beloved songstress Naomi Sego is not well. 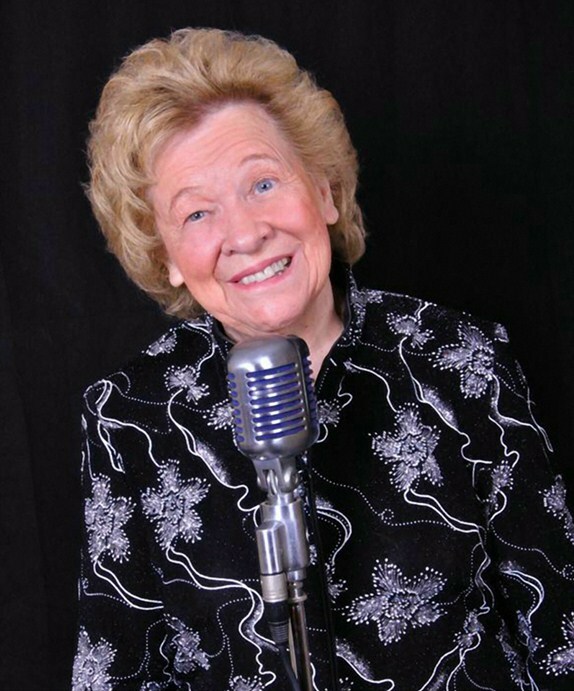 Please pray for 2001 SGMA Hall of Fame inductee, Naomi Sego Reader. We have learned that she is in serious condition at home after suffering seizures from an aneurysm. As I walk in the front door of the huge auditorium, a smell of caramel popcorn invades my nostrils! I can hear the sound of some group singing in the background and find myself unconsciously singing along to whatever song is being sung. I see hundreds of people walking in every direction. Then, all of a sudden, I see Mark Trammel, or Gerald Wolfe or Peg McKamey walk by! I’m at the National Quartet Convention for the very first time. It seems that every emotion I possess has been activated! 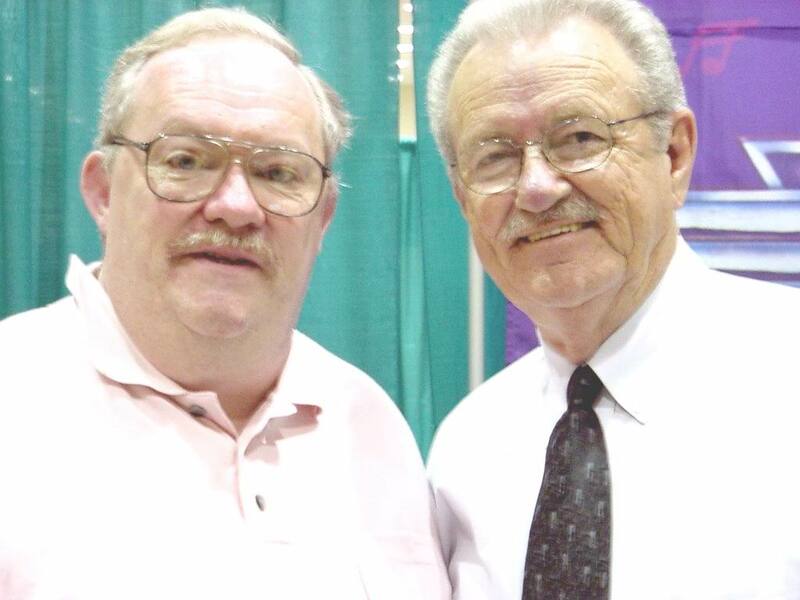 A few years back, I think it was in the late 80’s, I had the privilege to go to the Quartet Convention in Kentucky. Wow! What an experience. The first time I went to Louisville, or Looville, or Looeyville, however you pronounce it, I was wide-eyed like a little kid in a candy shop. Everywhere I turned, I saw many of the artists I had listened to over the years. I saw a particular group, and recalled singing along with them to some song on one of my old cassettes. I remember walking down one of the aisles, gawking at everything in sight, not really paying attention to where or what I was doing. At one point, I was walking, looking to my left at the Nelon’s display and bumped into Naomi Sego, nearly knocking her over. I was so embarrassed, but being the woman of God she is, she was very gracious. She smiled and said, “Excuse me.” She apologized to me! That was a very small thing but something I never forgot. It was not just the “excuse me”, that she said, but the manner she said it, the look of kindness in her eyes and the smile on her face. This woman shone with the love of God in her life. Believe it or not, that simple incident left a huge impact on me. As I wandered around up and down the aisles that seemed at times to go on forever, I found myself at the end of one of the aisles in front of the Gaither display. There, standing all by himself, his arms folded in his familiar pose, stood Jake Hess. I am sure I must have looked like a complete idiot standing there, gawking and staring. Then he walked over to me. I wasn’t sure if I should run or stay. He smiled at me, stuck out his hand and said, “Hi, I’m Jake Hess.” WOW! Jake Hess is introducing himself to me! I can’t remember if I said anything back or not, but he asked me, “What is your name?” WOW again! Jake Hess wants to know my name! I told him and then he asked, “Where are you from?” WOW again. I told him I was from Peterborough, Ontario, Canada. I finally composed myself and found myself thanking him for all the years in Gospel Music, and for all the blessings that came my way, because of him and the Statesmen. I babbled on and on for what seemed like an eternity. Jake stood there the whole the time, with that famous hand on elbow; hand on face pose of his. He was genuinely moved by what I was saying. As the years passed from that moment, I have often wondered to myself whether what I felt was just infatuation over one of my heroes, or was it a genuine presence of the love of God in this man? Personally, I think it was both. But there is no denying the presence of God that Jake Hess had in his life. It shone from him. It poured out of his mouth when he talked. It flowed from him when he sang. It will be a moment in time that I will never ever forget. I remember reading somewhere that Elvis Presley had said that Jake Hess was his favorite singer. I wonder whether Elvis felt that love of God that flow from Jake? I’m sure he must have. After I came down from that experience a little, I wandered around to the far side of the hall. Standing there, all alone in a little booth, was James Blackwood. I instantly felt sorry for him. 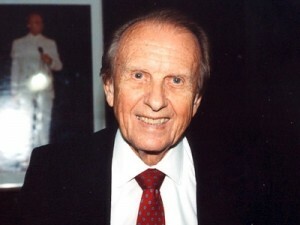 Here was a pioneer in Southern Gospel Music, all by himself. It did not seem right to me. I walked over to him, and basically said the same thing that I said to Jake. I thanked him for all those years and informed him that his group was one of the first professional concerts I had ever been too. I don’t know who the promoter was, but I remember going to PCVS School in Peterborough, back in the 70’s where I saw the Blackwood Brothers and the McDuff Brothers. I told him that and he said he remembered being in Peterborough. As we chatted, I recalled the same type of experience that I encountered with Jake Hess. James Blackwood was a gentleman all the way. We both reminisced about days gone by and I asked if I could take his picture,. I walked away from that experience once again amazed at the presence of God that I felt. I was learning great life lessons but didn’t realize to what extent for many years after. There were many experiences from attending the National Quartet Convention in Louisville. I met many people, and so many of them had an impact on my life. I learned that they are people just like you and me. I guess what I mean by that is I had a tendency of putting people on pedestals, whether they were a Gospel artist, or a minister of the Gospel. Certain preachers that I used to put on that proverbial pedestal let me down. The media just loves it when a man of God slips up and it goes public. Well guess what? They are human. I had to learn that. I believe God allows things to happen to people in the public eye, if only to bring the focus back to Him. Jake Hess taught me that. James Blackwood taught me that. Just having a simple conversation with these men of God, they taught me to put my focus on God, not man. They are just people, ordinary men and women that make mistakes just like I do. Man will let you down every time. God will never let us down. After many battles with her health over the last two years Naomi & the Segos have announced that they are now accepting select dates for the summer and fall months of 2013. Over the last two years Naomi has battled with sickness that forced her to have to decline many concert appearances. After having to cancel their scheduled appearance at the National Quartet Convention last year, Naomi & the Segos were forced to rest for a while. However the group announced today that Naomi is well and they are excited and ready to do select concerts throughout the remainder of the year! If you are a pastor or a promoter that loves Southern Gospel Music you DON’T want to miss out on this life changing opportunity! Posted in announcements | Comments Off on Naomi Sego Announces Return!